Should We Be Satisfied That Immigrants Are "A Better Class of Underclass"? On Monday, CIS published my new study comparing the welfare consumption of immigrant and native households. It shows that immigrant households consume an average of about $6,200 worth of welfare dollars, while native households consume about $4,400. The main reasons for the difference are the lower level of education and greater number of children in immigrant households. This new report is CIS's second analysis of the Census Bureau's Survey of Income Program Participation. The first study (released last September) focused on participation rates, showing that 51 percent of immigrant households used some form of welfare. Now we are able to quantify the costs associated with that participation. Both reports elicited a large amount of media attention. 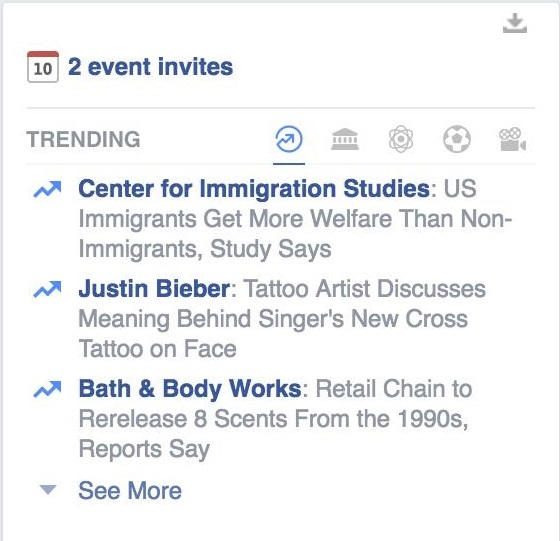 In fact, the new report was at one point even more popular on Facebook than Justin Bieber (at least for some users), which is surely something to be proud of. Along with the media attention has come pushback from immigration advocacy groups. Fortunately, on an issue often driven by emotion, Alex Nowrasteh of the Cato Institute published a critical commentary almost as dry in tone as the original paper. CIS had mostly the same debate with Cato when it published the last welfare paper, so I'll be brief with the responses. First, the household, not the individual, is the proper unit of analysis, since we need to include the costs of the U.S.-born children of immigrants still living at home. Does that imply we should also estimate the costs of the grandchildren and great-grandchildren of immigrants? That would be fine in principle, though probably infeasible. More importantly, unlike the case of welfare for distant descendants, immigrant parents directly benefit when the government pays for their children's food, medical care, etc. The parents would otherwise have to pay for those things themselves. Second, we deliberately excluded Social Security and Medicare because they are not means-tested anti-poverty programs. Even if we included them, however, it would make immigrants look better only if we count the payroll taxes they contribute now without counting the accruing benefits they will collect later. The Ponzi-like nature of our entitlement programs is something that Cato always recognizes – except when it comes to immigration. Third, regarding the fraught debate over which is more politically feasible – restricting immigration or restricting welfare – low-skill immigration directly grows the welfare state and enlarges its clientele. It is difficult to see how moving closer to Cato's preferred immigration policy does not move the U.S. further from its preferred welfare policy, especially given the failure of the 1996 reform to build a wall around the welfare state. Let's at least acknowledge the trade-offs here. Just because poor and unskilled immigrants may consume fewer welfare dollars than equally poor and unskilled natives, it does not necessarily follow that such immigrants are good candidates for residence and citizenship, since the United States could simply pursue immigrants who do not have low levels of education in the first place. Imagine a group of natives that consume, say, a whopping $50,000 of welfare per year. Would immigrants with the same characteristics be a boon for the U.S. if they used "only" $40,000 per year? That is the Nowrasteh argument. It turns immigration policy into the pursuit of "a better class of underclass." We can do better. Jason Richwine is an independent public policy analyst and contributing writer to National Review.